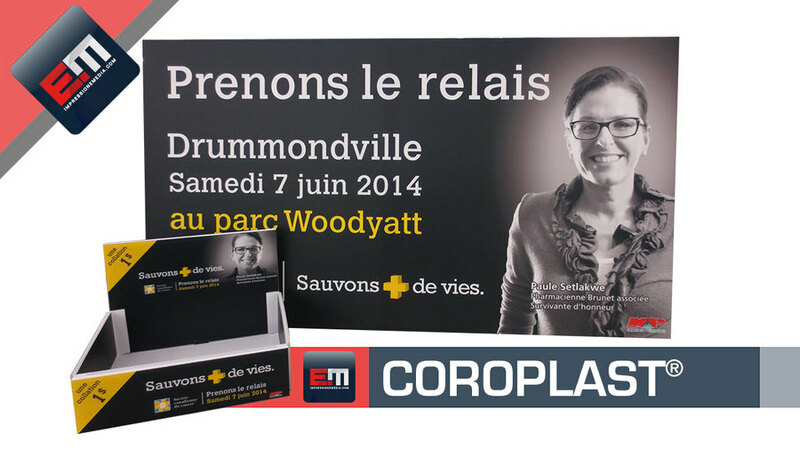 Versatile and economic, Coroplast® is the perfect, affordable solution for both interior and exterior signage. 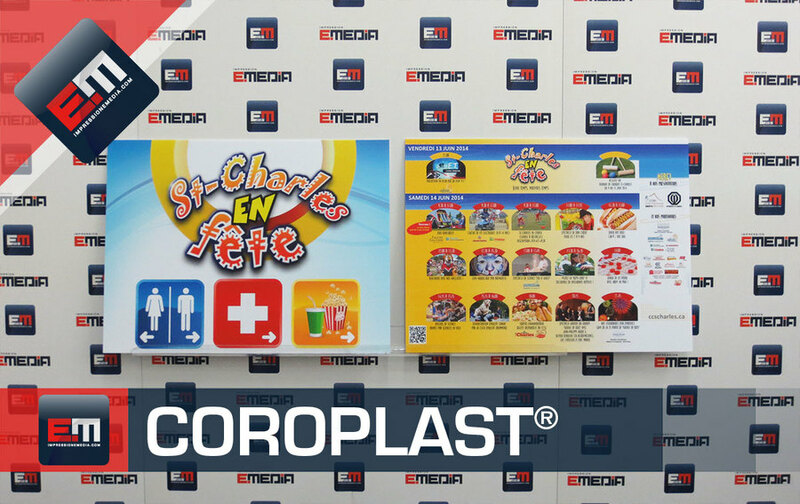 Coroplast® has proven that its rigid plastic is above, being light, flexible, waterproof, and resistant to UV rays as well as cold and humidity. 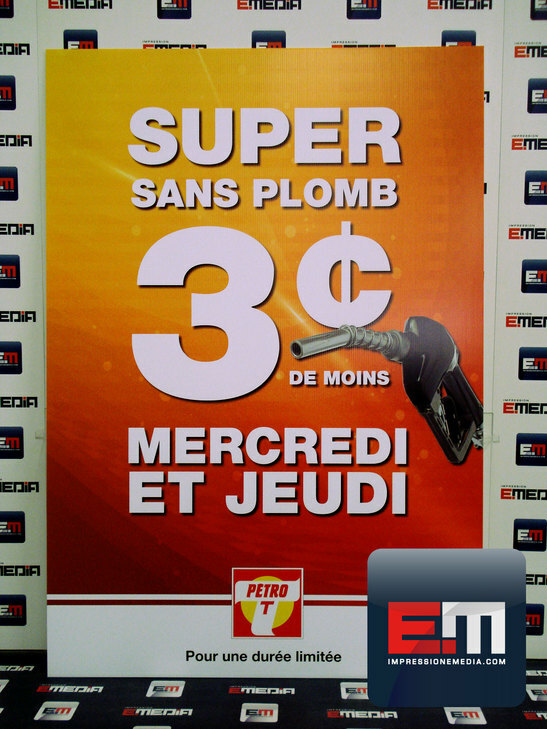 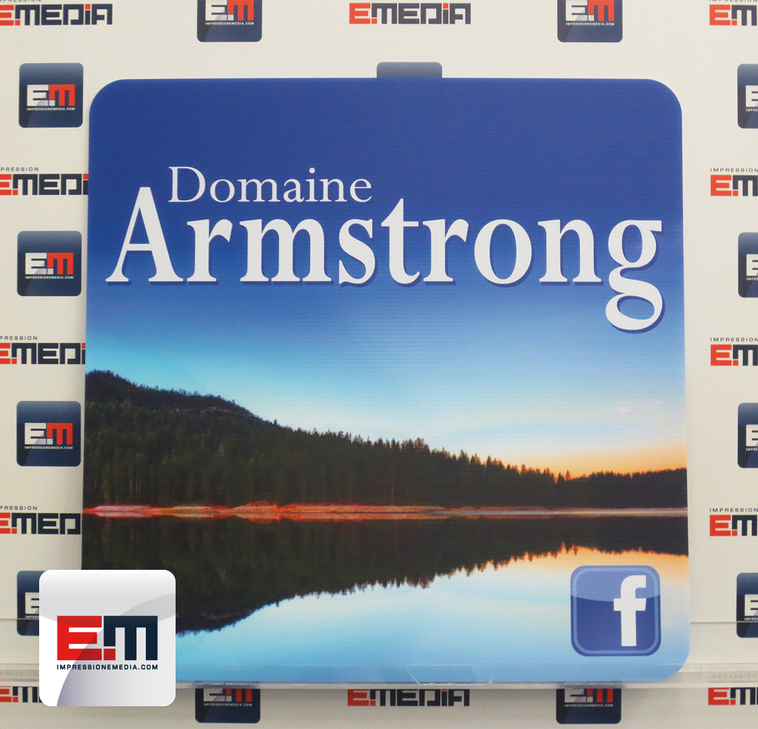 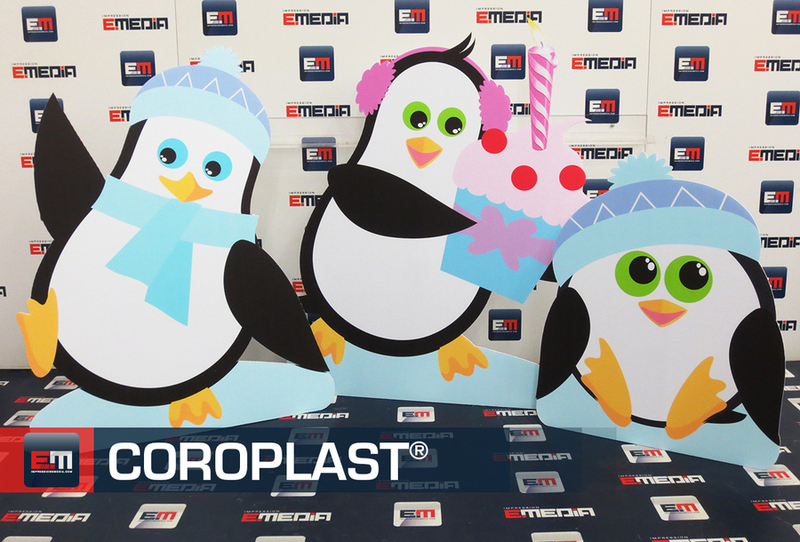 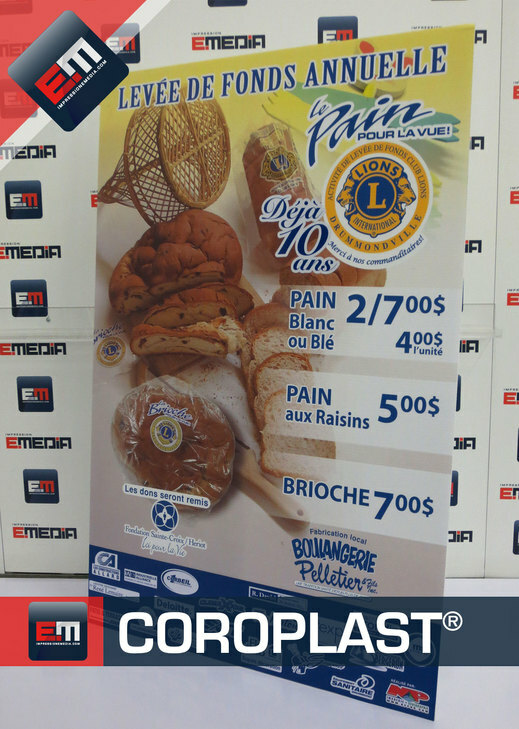 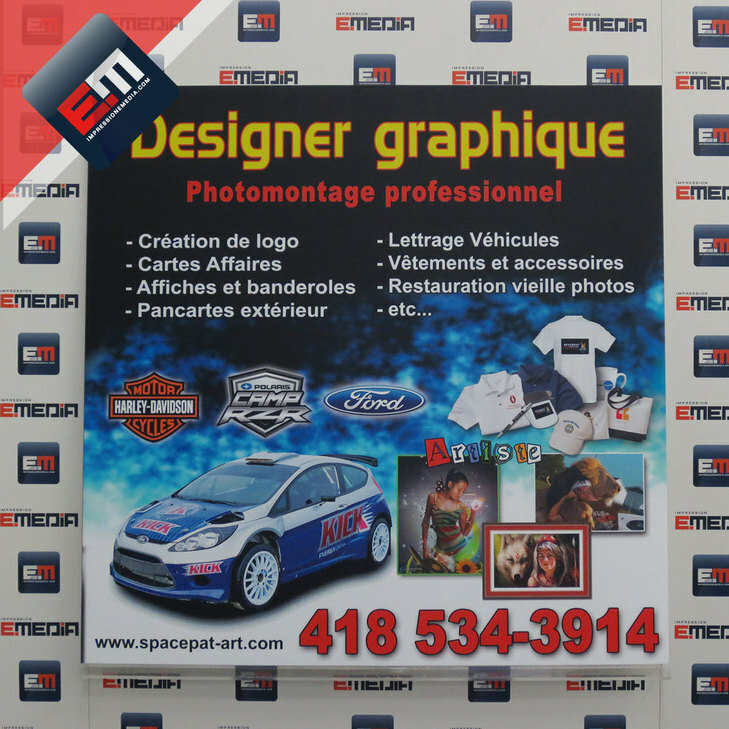 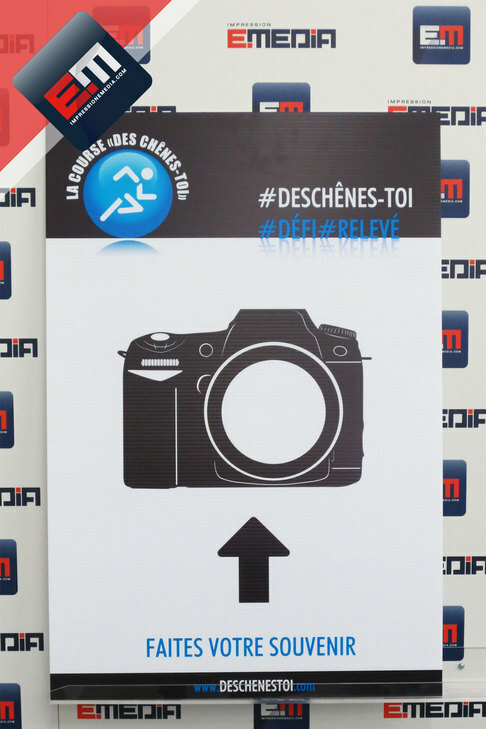 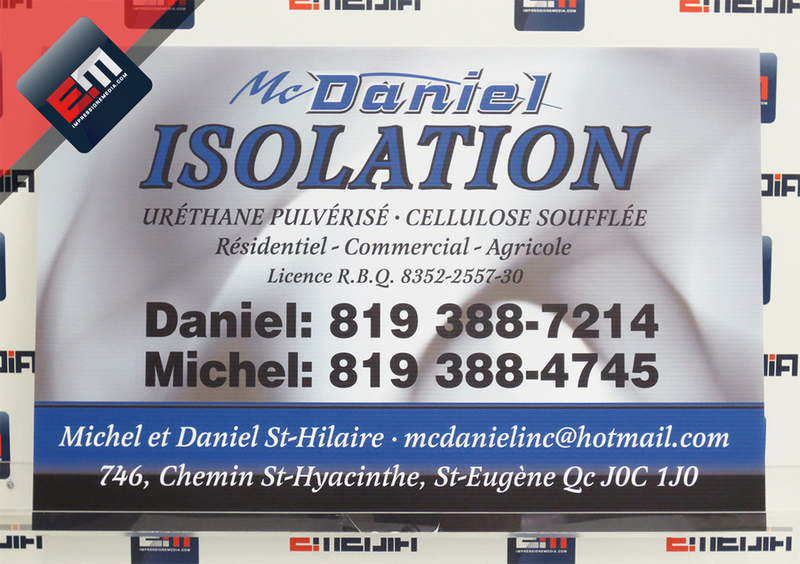 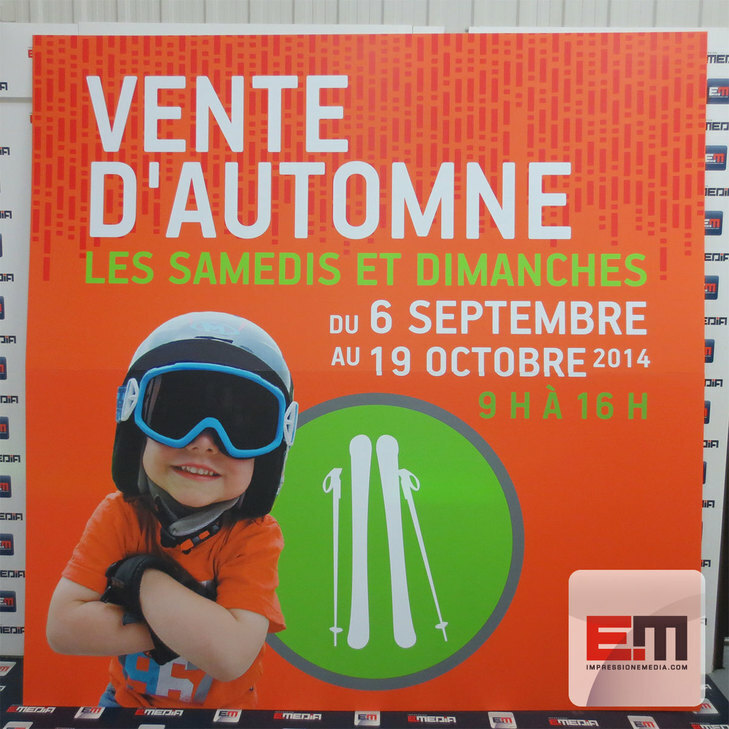 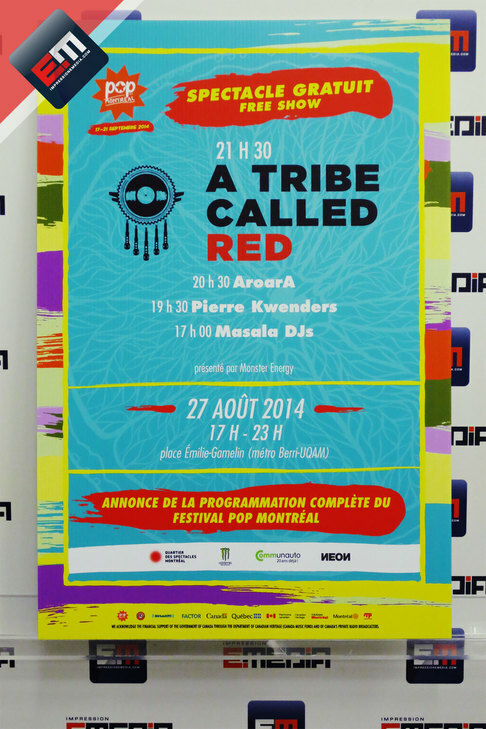 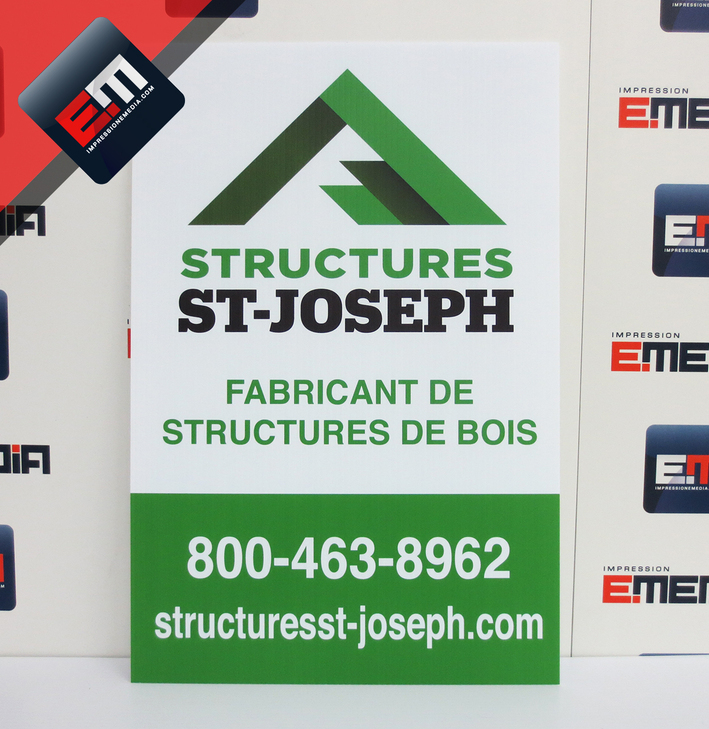 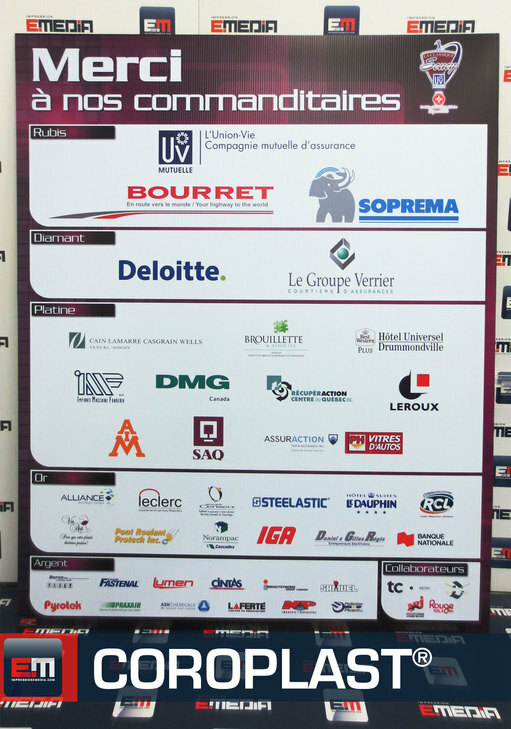 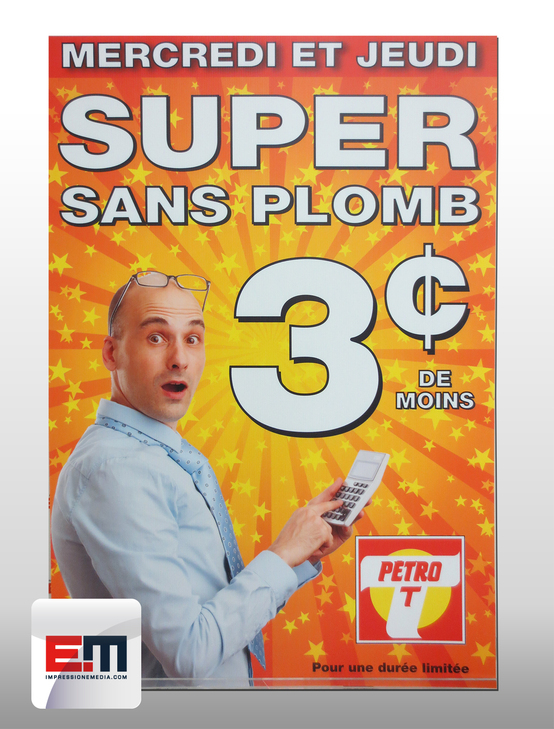 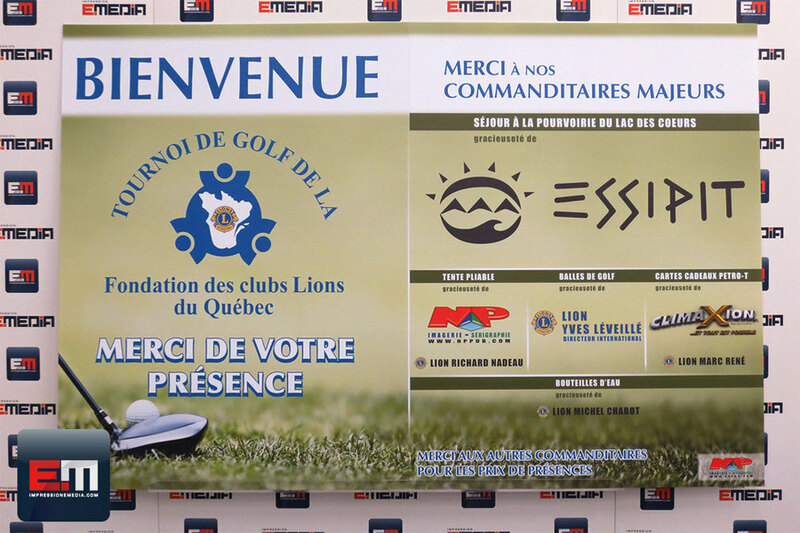 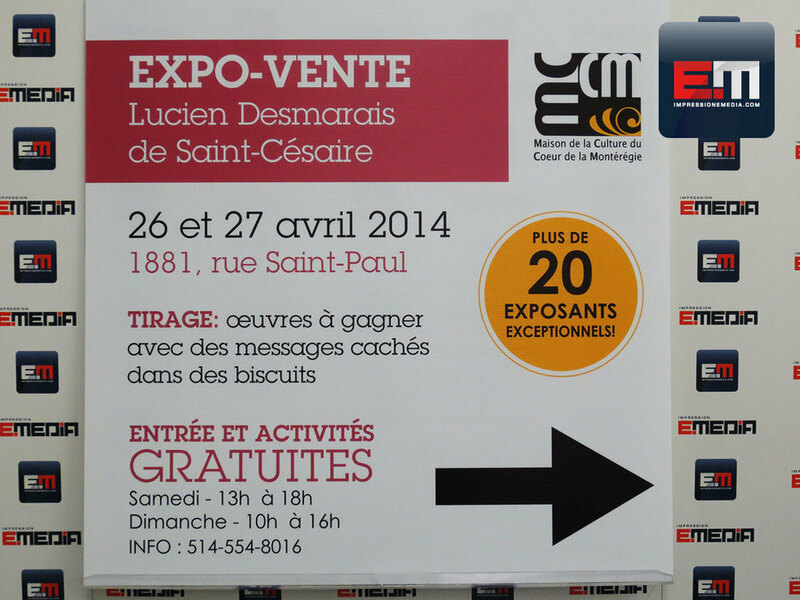 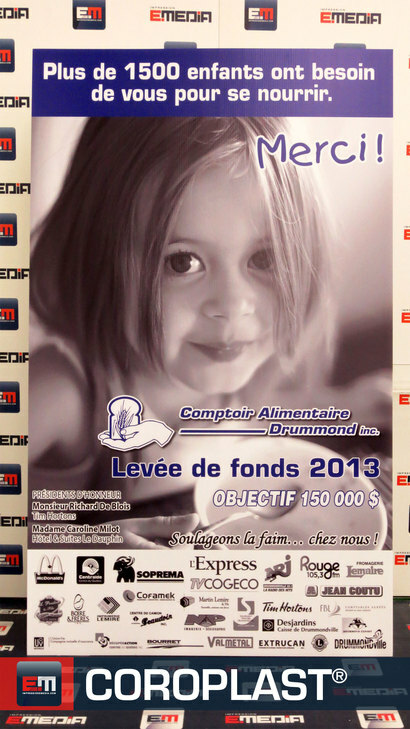 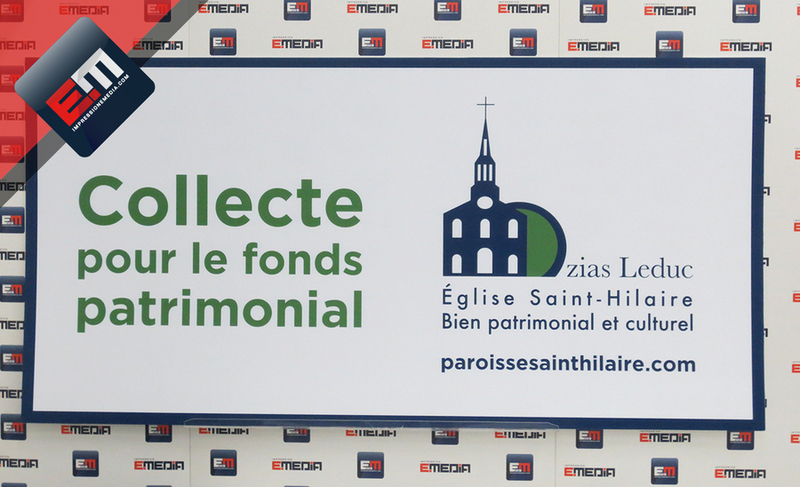 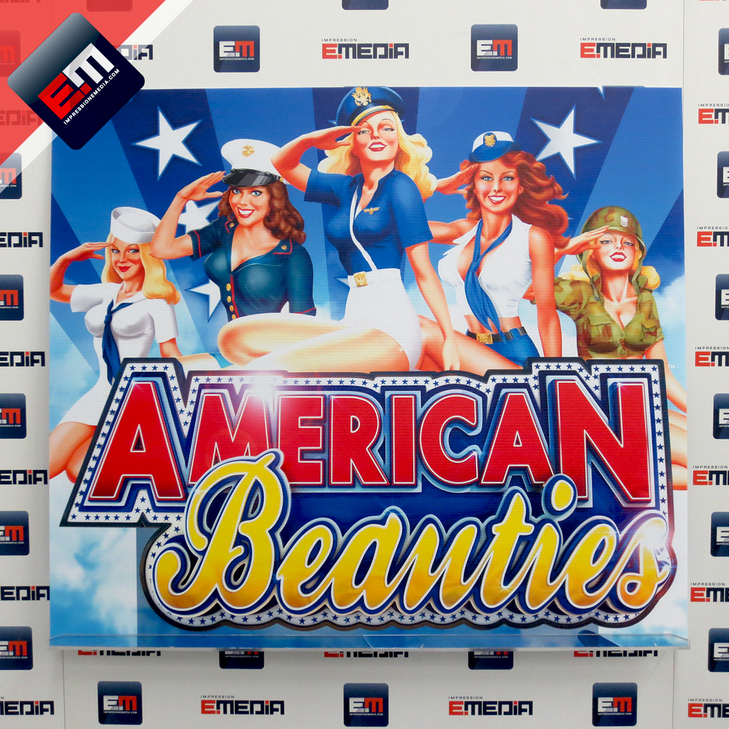 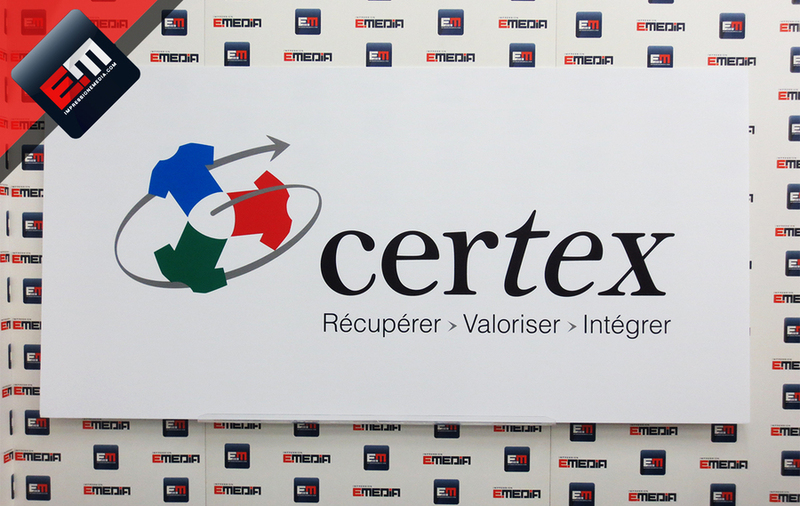 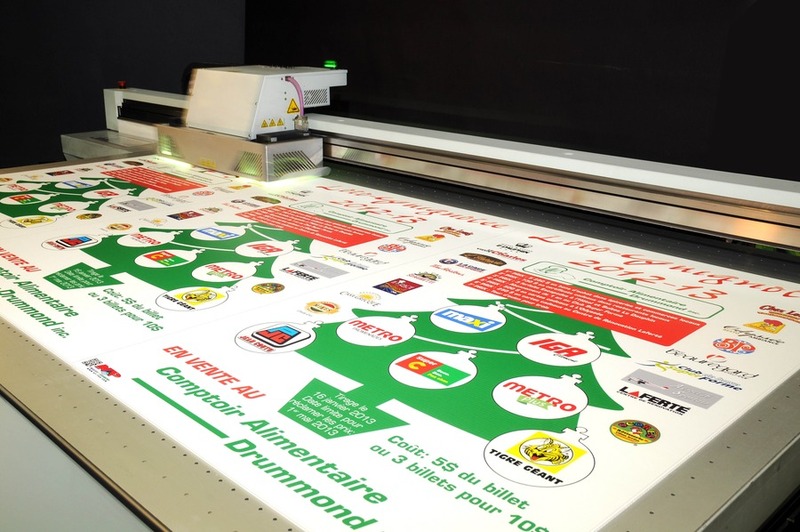 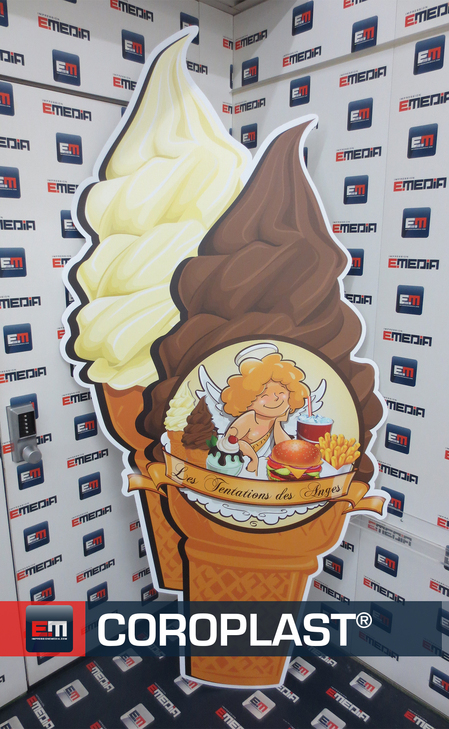 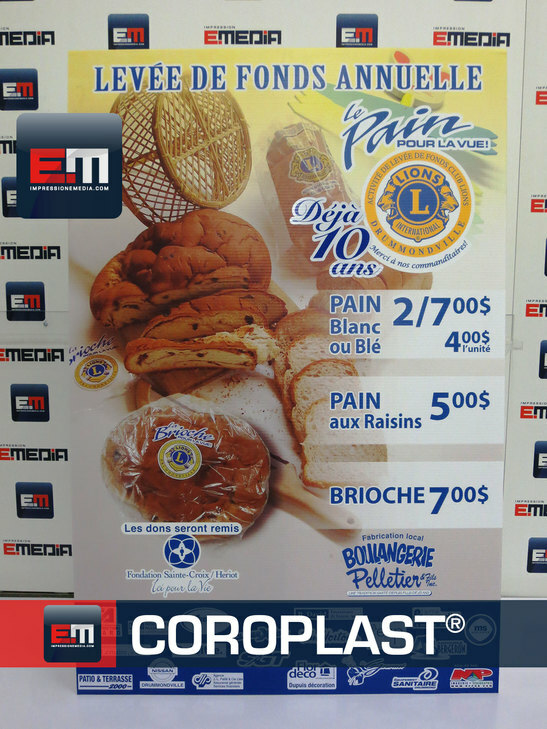 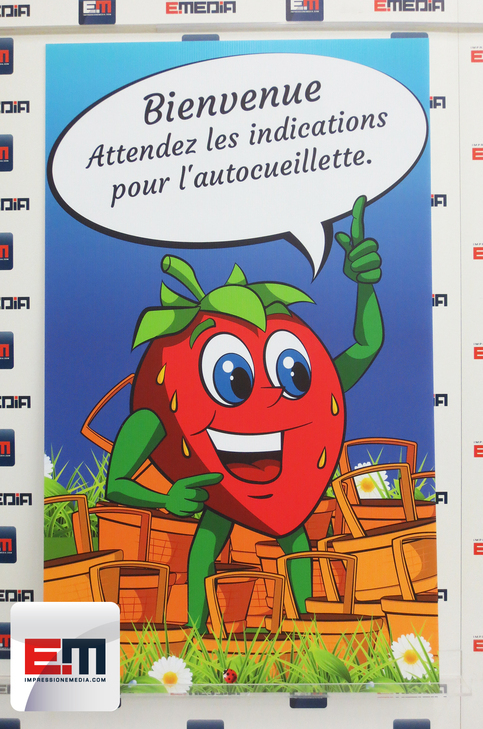 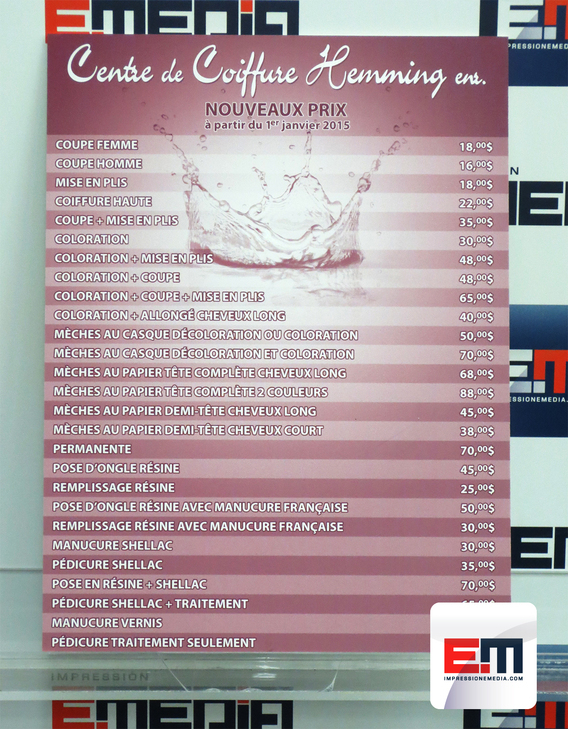 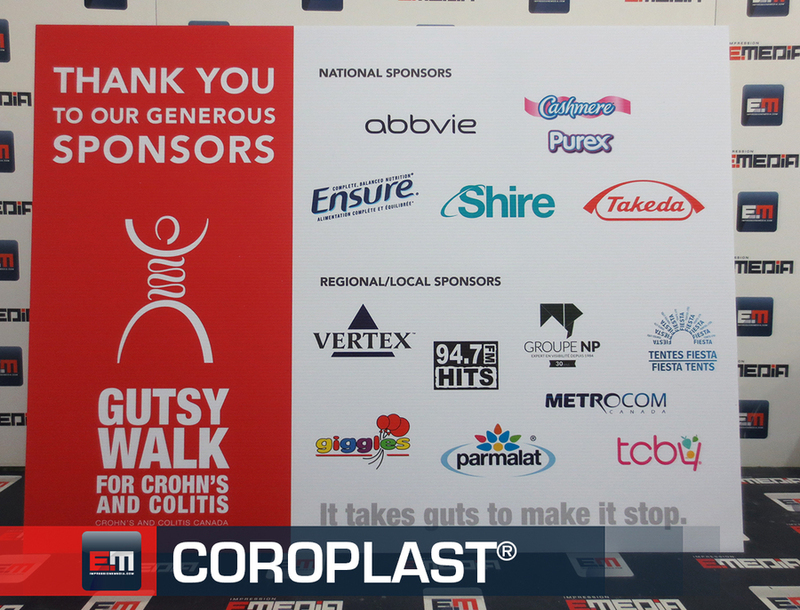 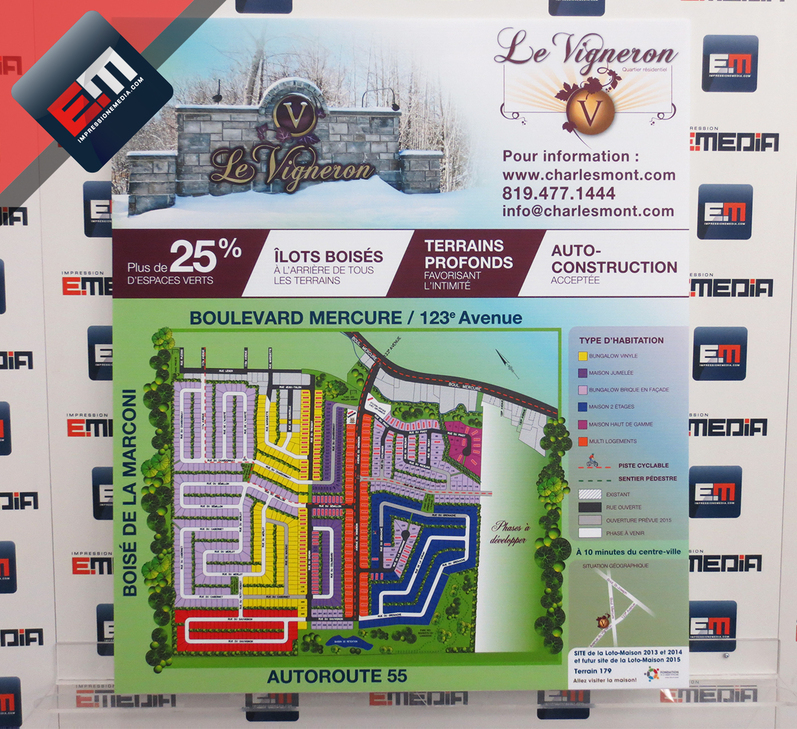 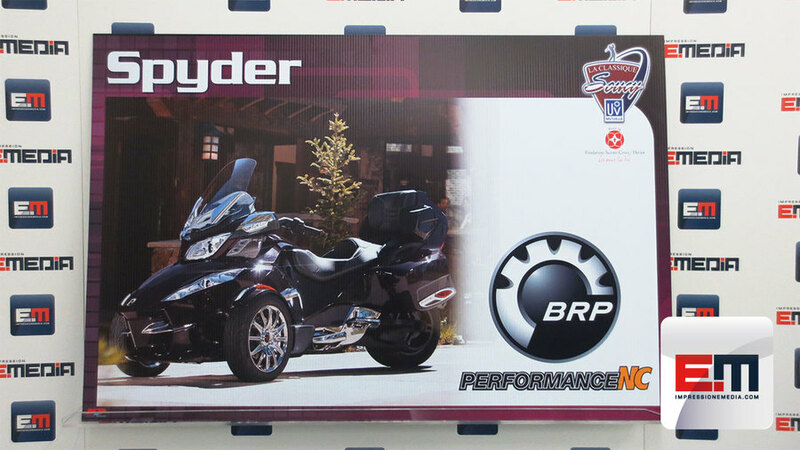 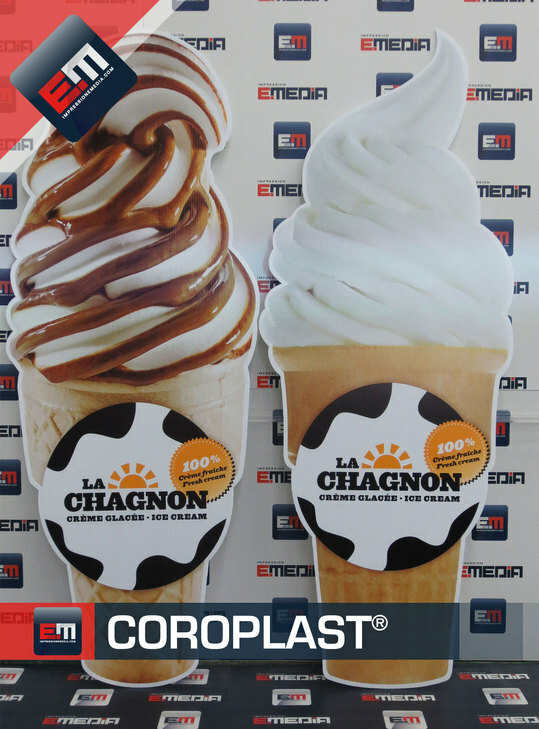 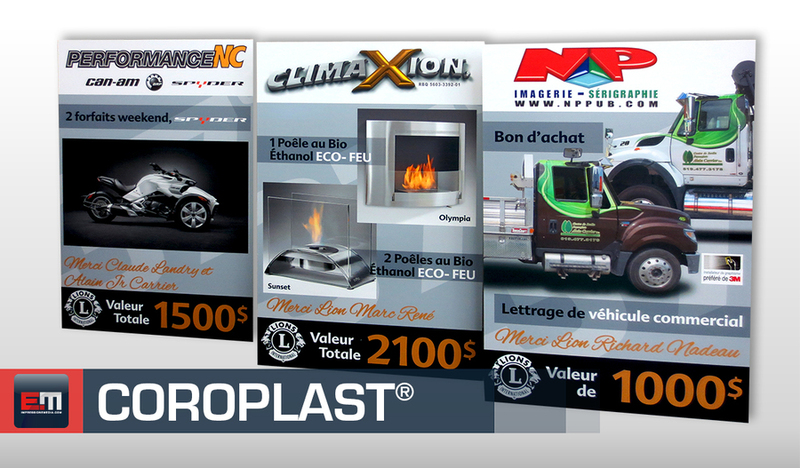 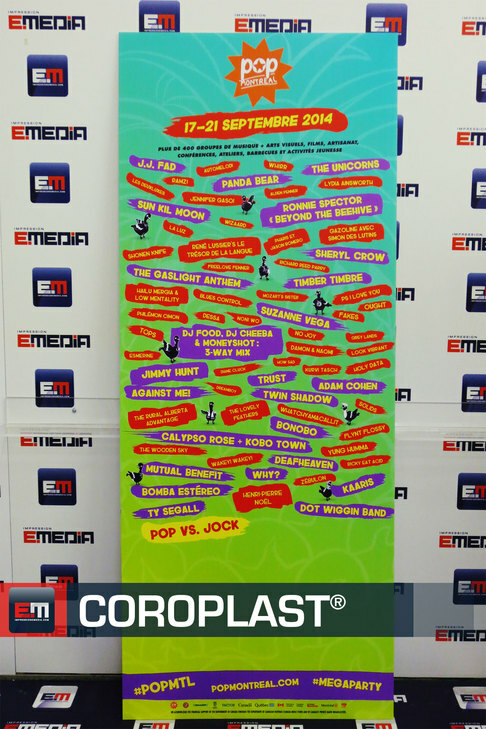 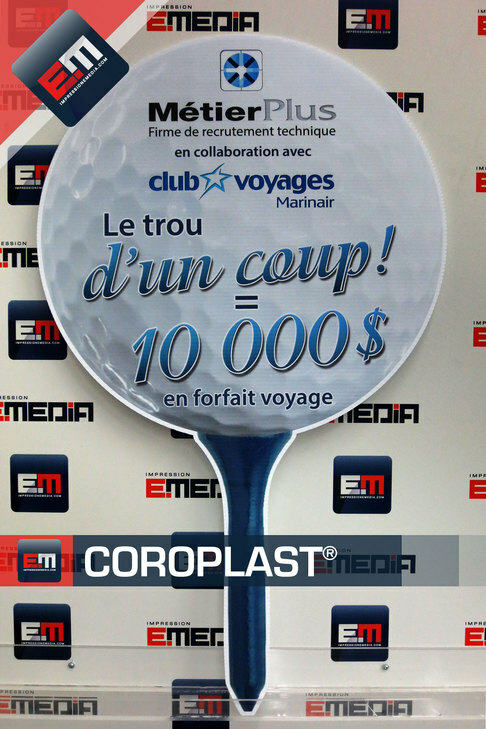 EMEDIA Print offers Coroplast® signs in large formats at affordable prices with exceptional results. 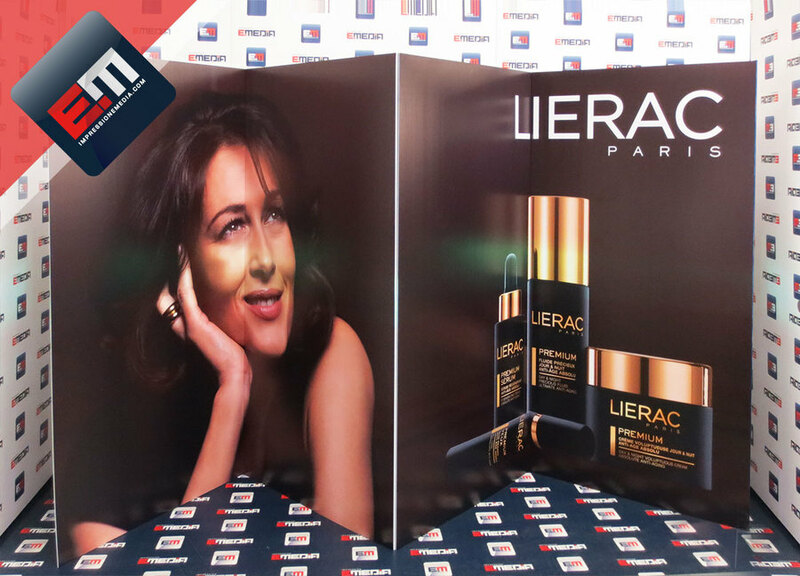 Our flat printing methods with ultraviolet drying, possible with the advanced technology of the OCÉ Arizona, offer a final product of irreproachable quality. 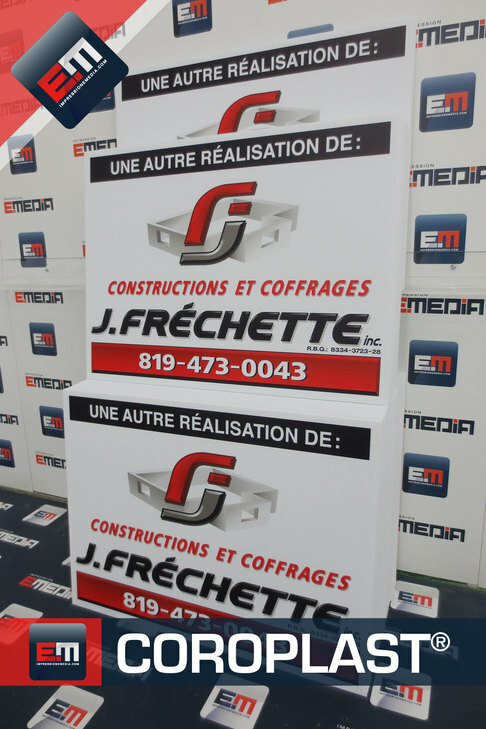 Personalize your product by opting for the personalized cut. 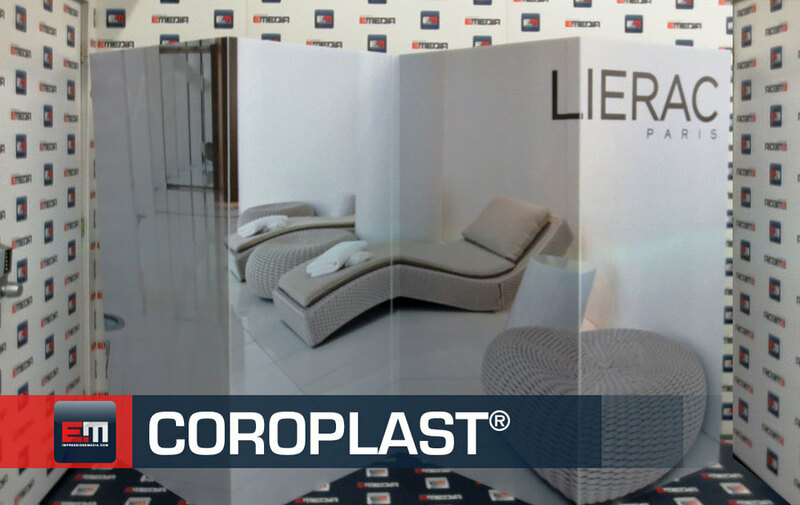 For an ecologically friendly and recyclable product, opt for CoroGreen®. 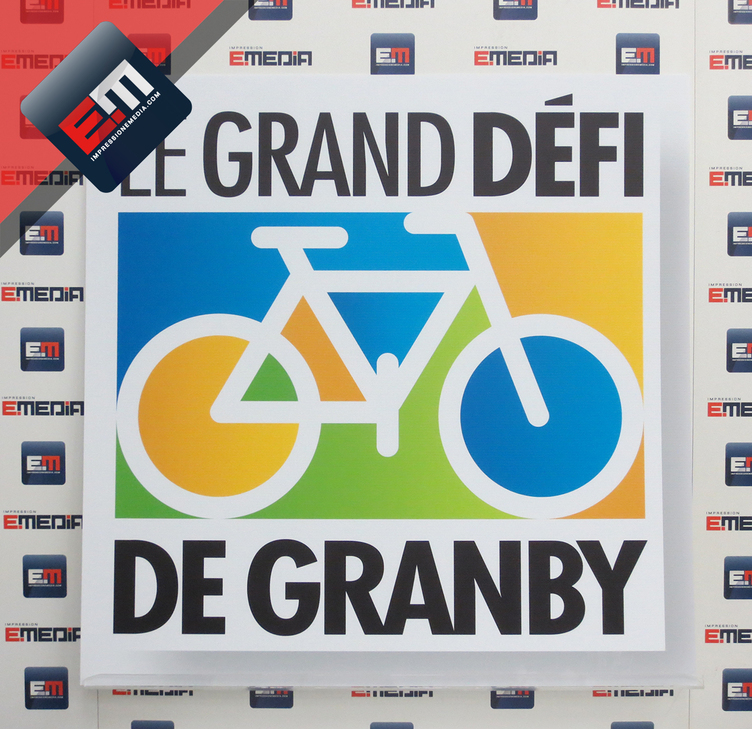 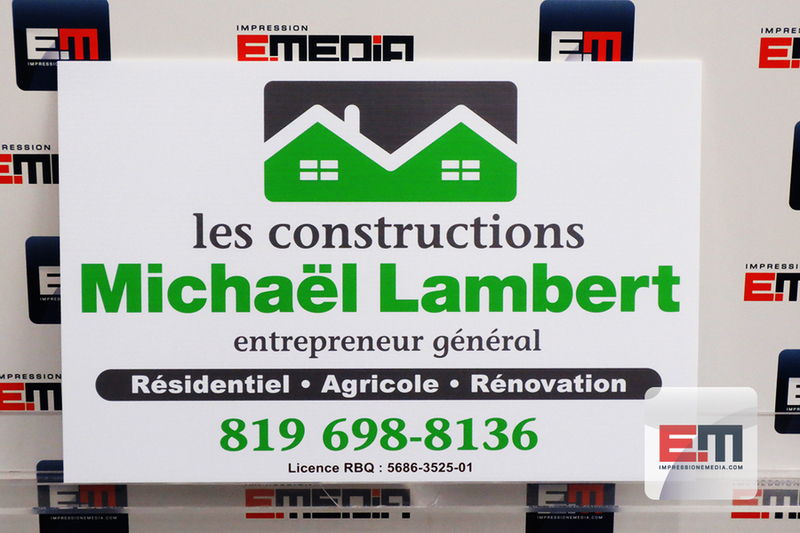 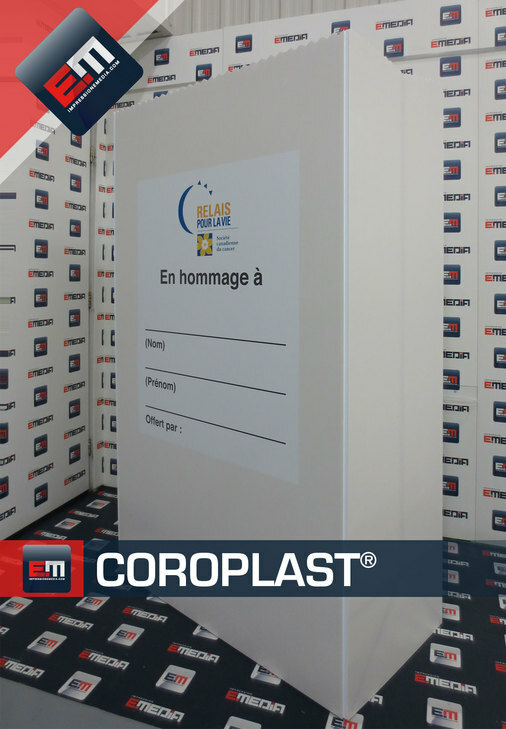 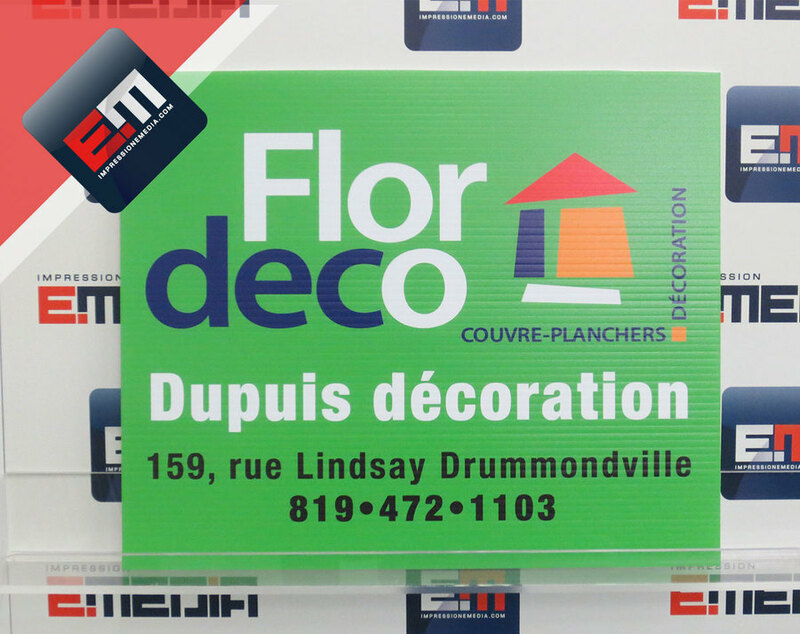 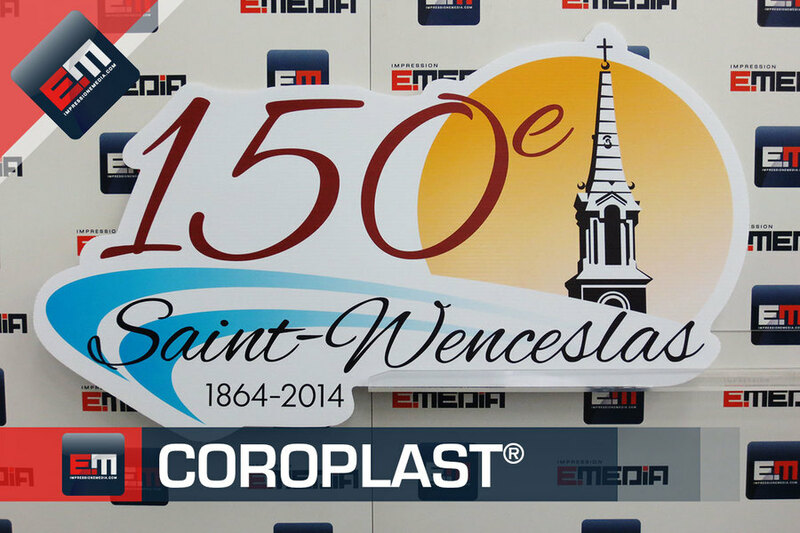 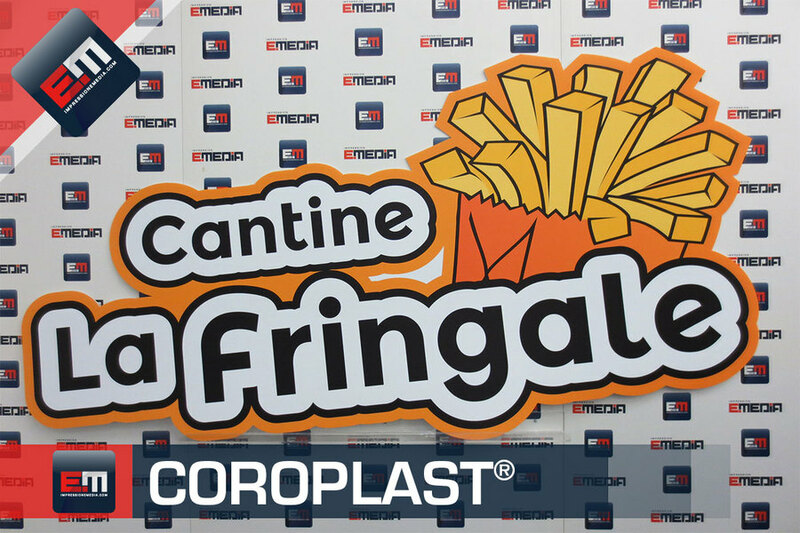 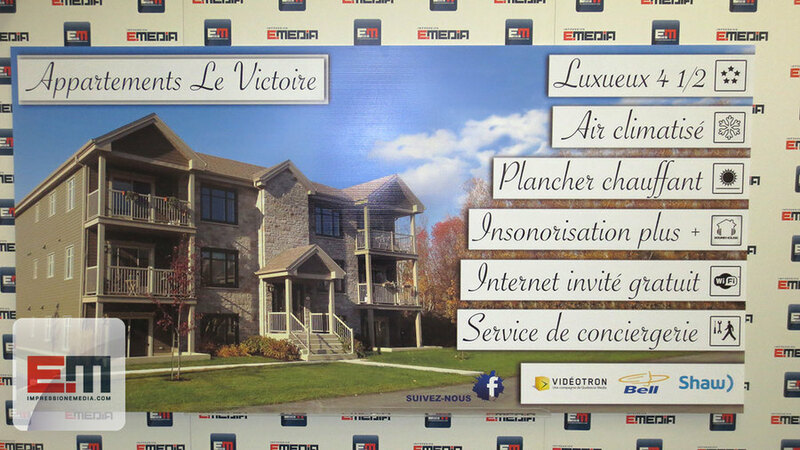 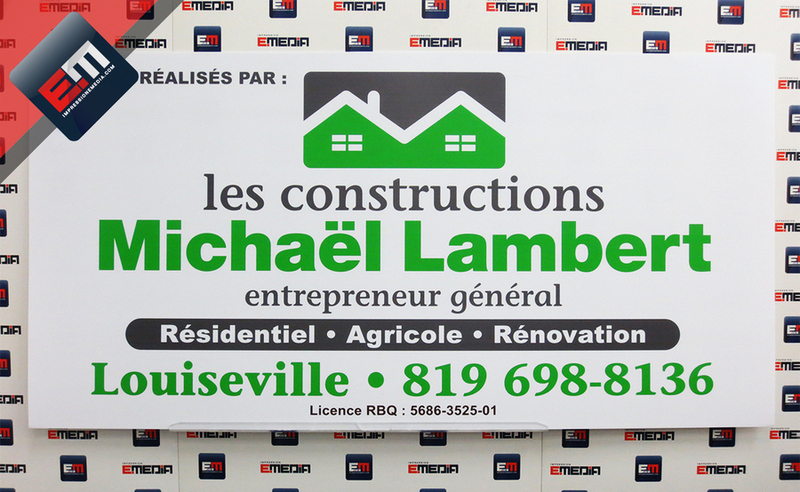 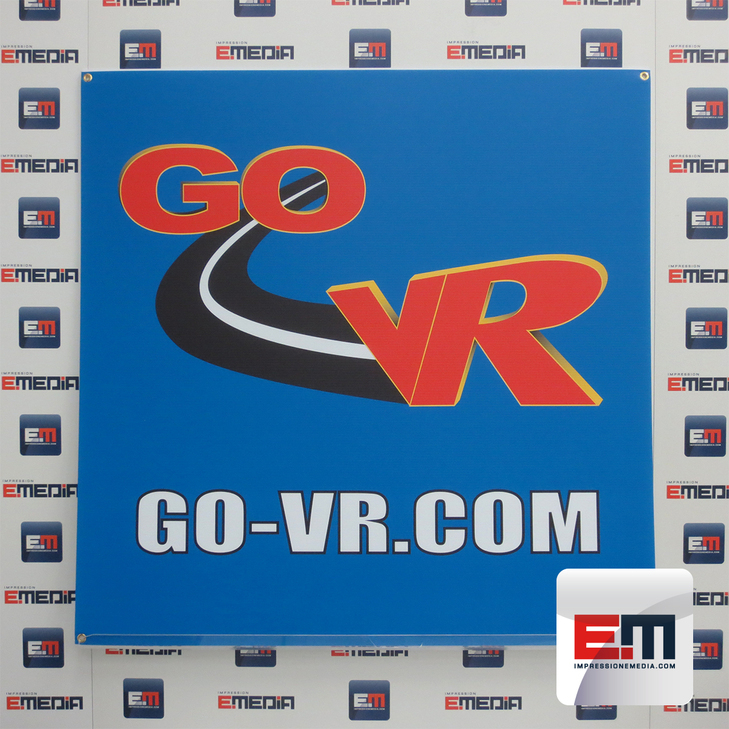 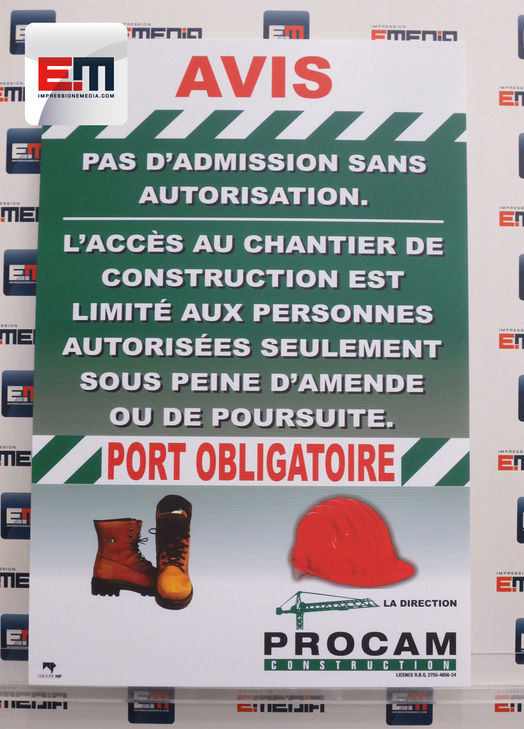 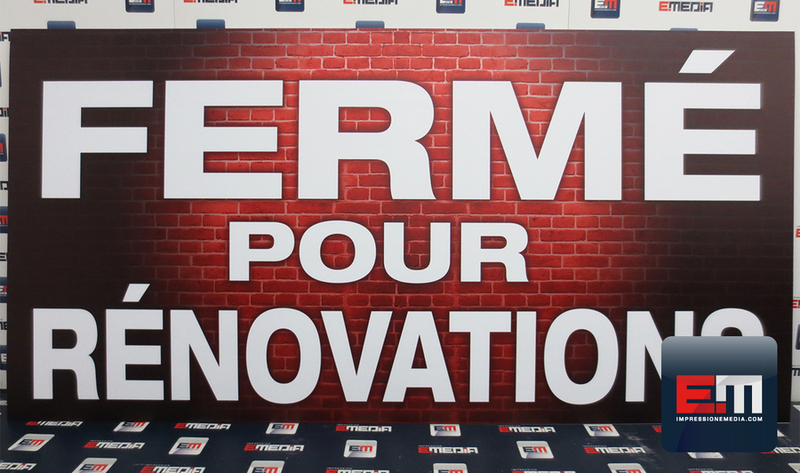 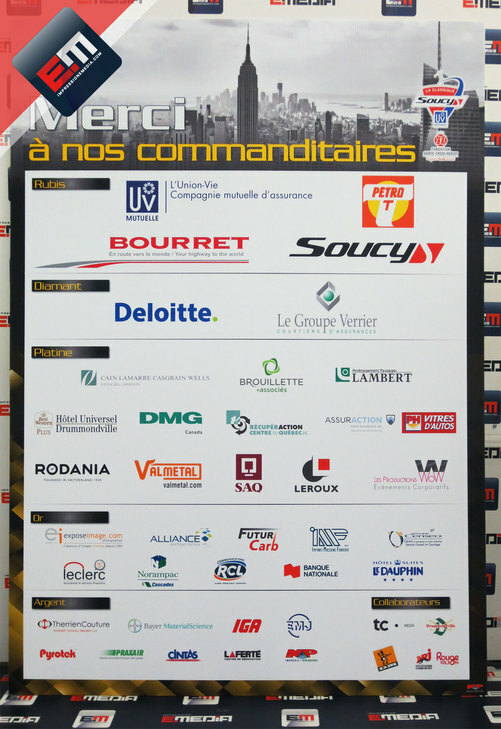 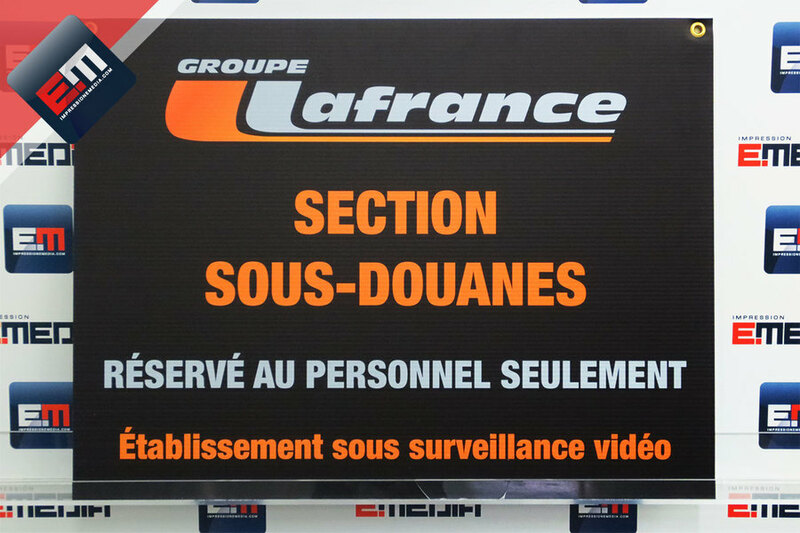 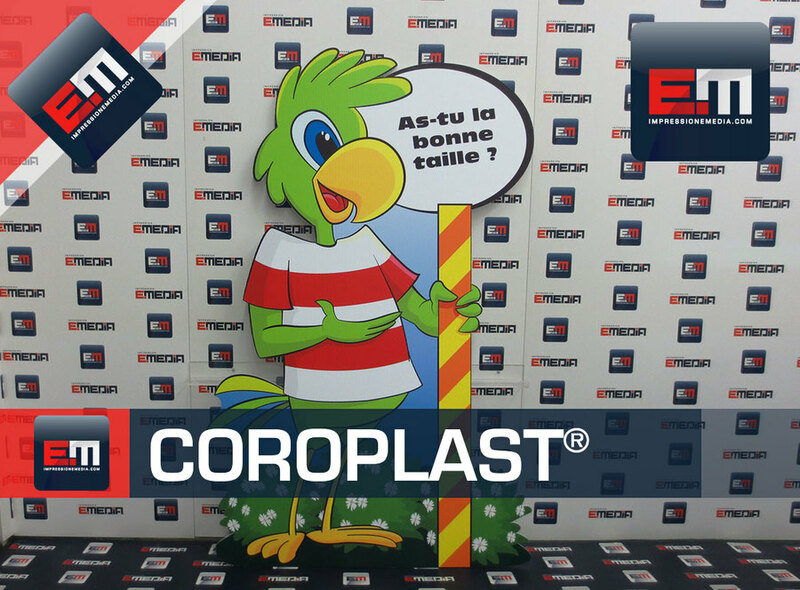 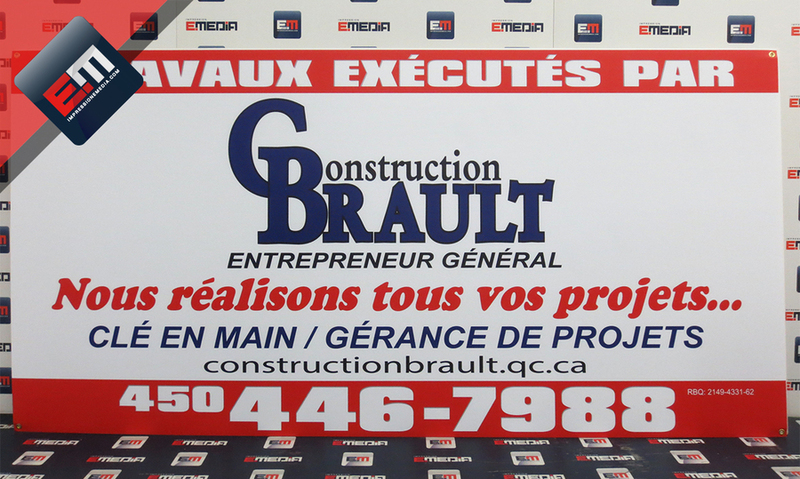 For a short to a medium period signage on a construction site, electoral or real estate signage, stand out from the competition with an EMEDIA Coroplast® product. 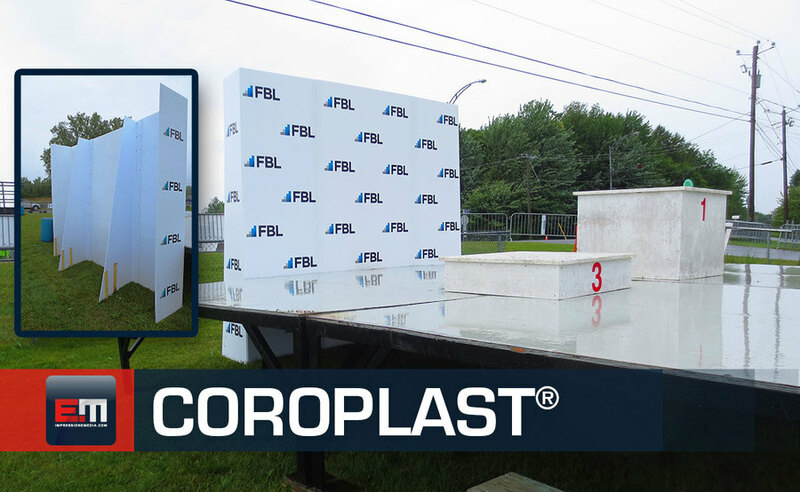 Is Coroplast good for exterior use? 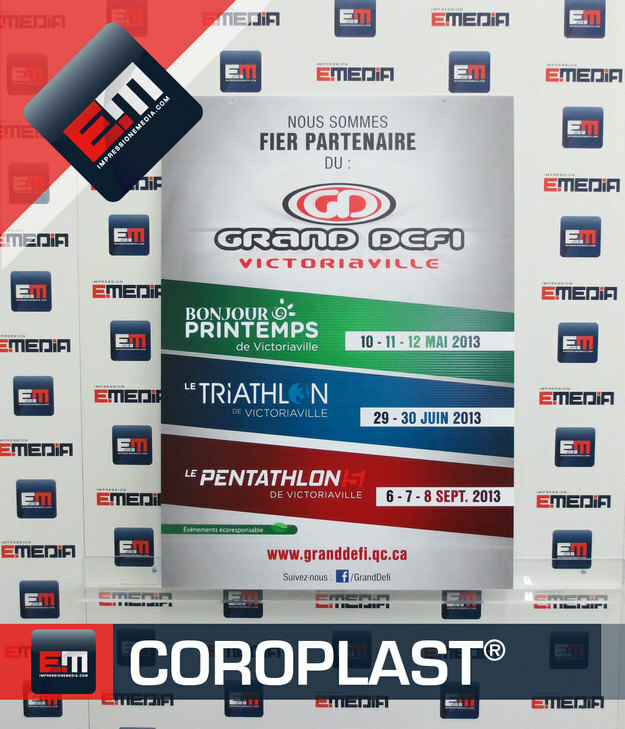 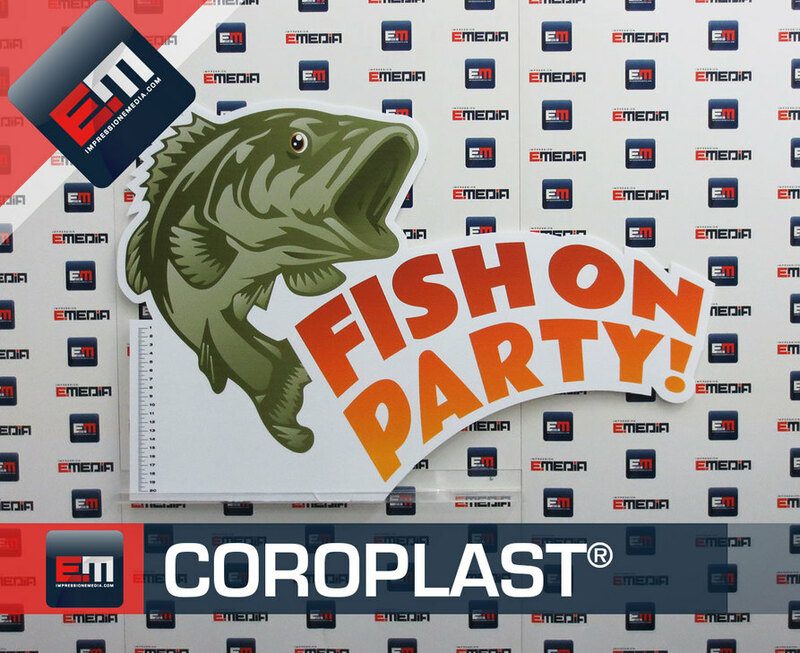 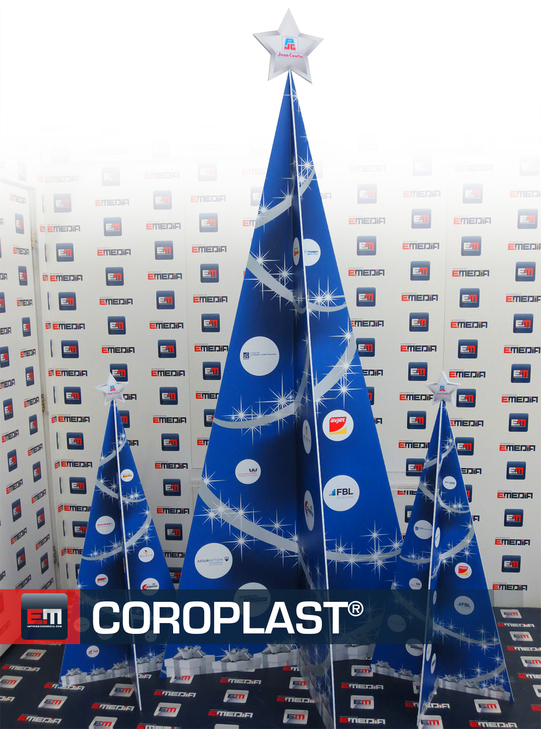 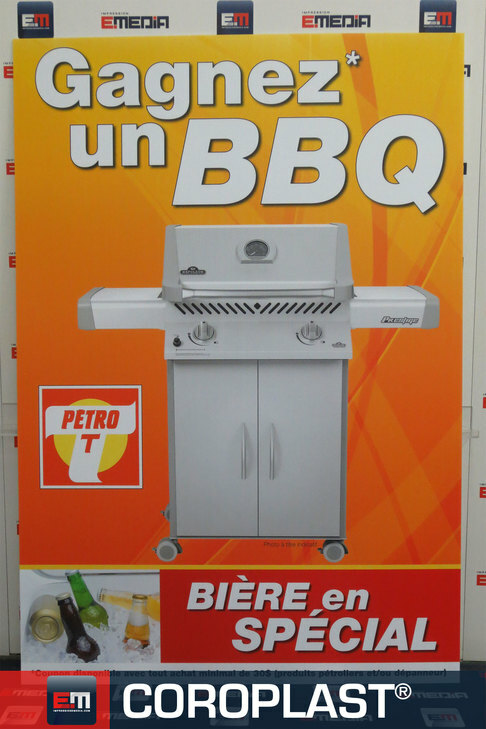 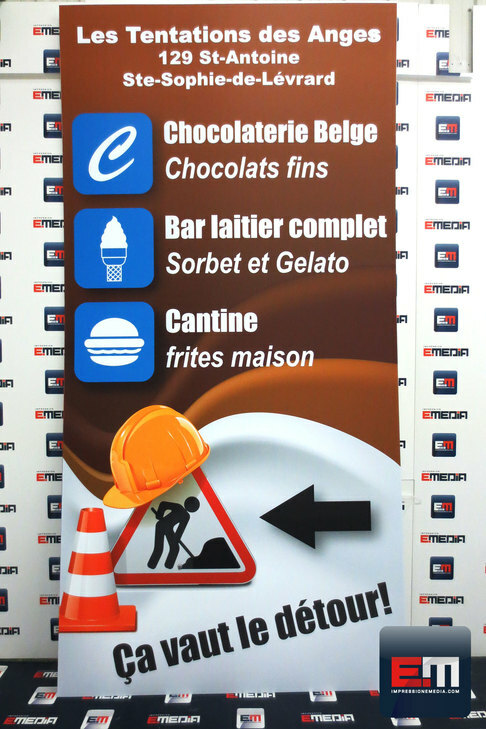 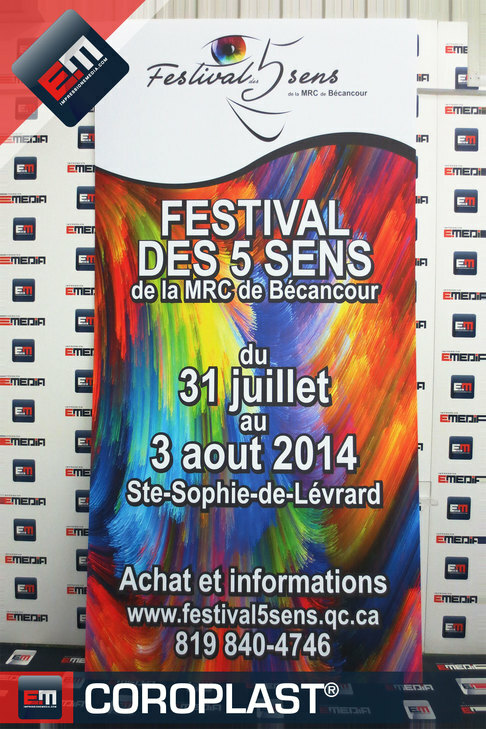 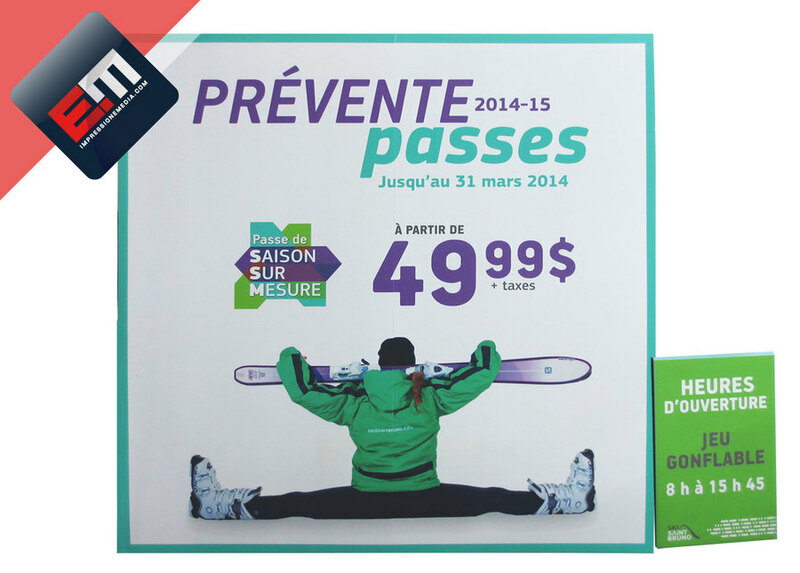 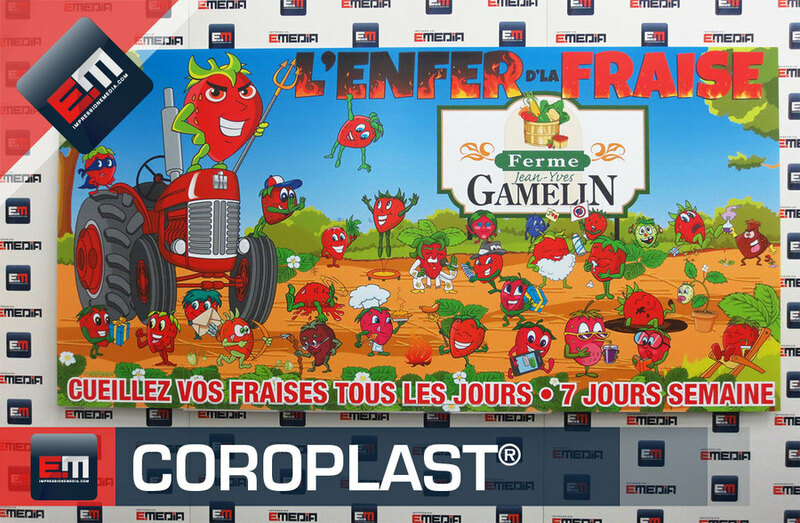 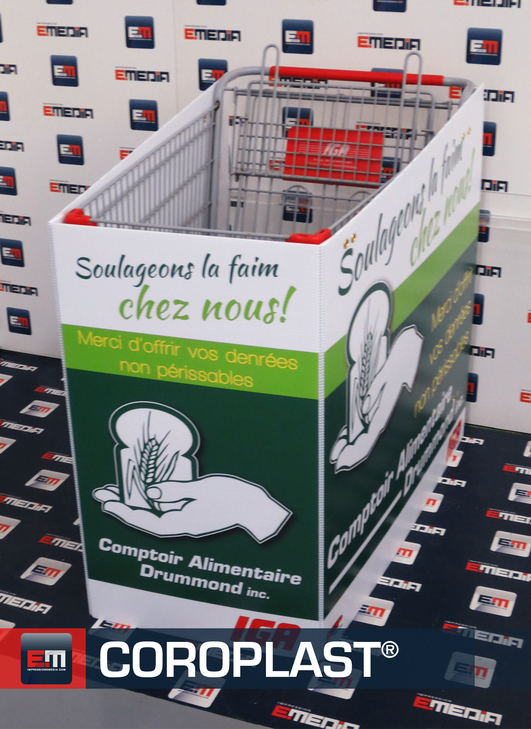 Coroplast is perfect for any outdoor promotion or sign of short and medium term.